Here at Lolly, we’re lucky enough to have two resident pooches in the office. Bebo is a fluffy Bichon Frise who thinks he’s more human than dog, and Pickle the Cockapoo loves nothing more than to sit on our laps (even after running through a muddy river on her lunchtime walk!). 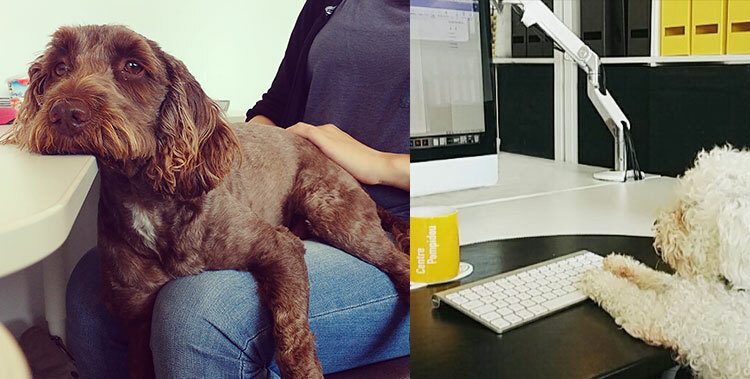 A lot of companies frown upon having our furry friends in the workplace, but for us, Bebo and Pickle are as much a part of the team as the rest of us. Research by Virginia Commonwealth University has shown that having dogs in the workplace can, in general, make people happier, more productive and increase connectivity between co-workers, and we couldn’t agree more.